Romanian Links - "Our Lady of Mercy"
Below is a powerpoint presentation which was made to explain to school children the work of Sr Rose and the Association of Our Lady of Mercy. It clearly shows the inequalities between the rich and poor in Romania. The association has established outreach groups, one of which works with the elderly. These elderly adults make "angels", which due to infirmity and the cold weather they are only able to make two a day. 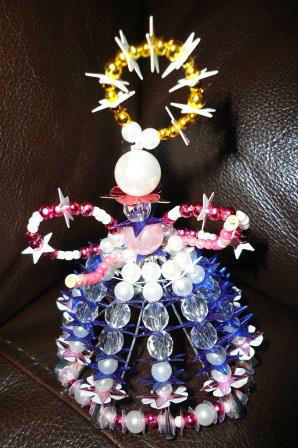 By buying a christmas Angel (like the one in the photo) we can help to support the excellent work of Sr Rose and the Association of Our Lady of Mercy.